The headset is the bearing assembly that fits to a bike’s head tube and allows the fork and front wheel to turn. It might not be the sexiest component in the world but it does a vital job. When it's working as it should, you probably won't notice your headset too much, but you will become conscious of it if it needs regreasing or starts to wear out because your steering will begin to suffer. As is usually the case in the world of bikes, there’s no such thing as a unified standard when it comes to headsets. There are loads of different designs out there. Here are the key ones. There was a time when all headsets screwed on to a thread on the steerer tube (the part of the fork that extends through the bike’s head tube). Threaded steerer tubes were usually 1in in diameter, though some mountain bikes were built with 1 1/8in and 1 1/4in threaded headsets before threadless designs took over. With this system the bearing cups are pressed into the head tube, with bearings sitting above (in the case of the upper cup) and below (in the case of the lower cup) the races. The upper bearing is threaded and is held in place by a threaded locknut. Threaded headsets are largely out of favour on good quality bikes these days although you still see them on cheaper, old and retro-style bikes. Threadless headsets are often called Aheadsets, although that's not a generic name, it's a trademark of Dia-Compe (now Cane Creek). In the original design the bearing cups are pressed into the top and the bottom of the head tube, and the bearings sit externally. The steerer isn’t threaded. Instead, a star-fangled nut or an expansion plug (pictured above) is fixed inside the steerer to act as an anchor point. 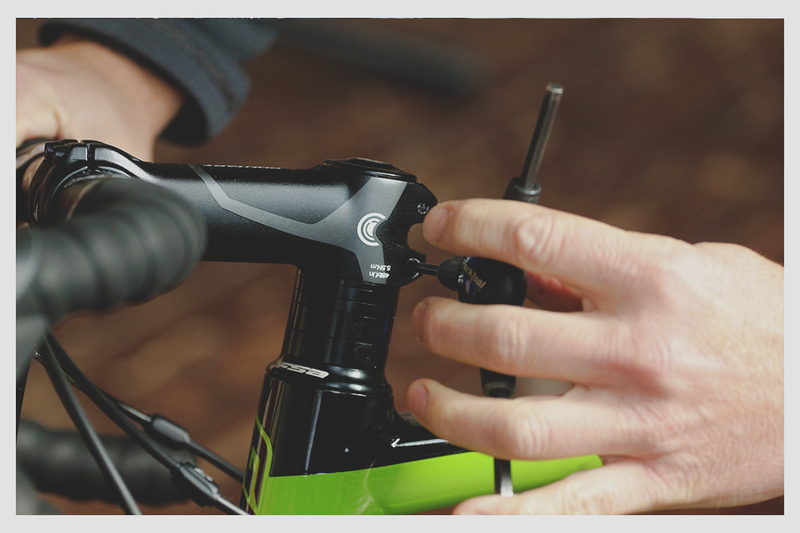 Once the stem and any spacers are fitted, you can apply pre-load to the headset via a cap at the top of the steerer and a bolt that attaches to the star-fangled nut or expansion plug. You then tighten the stem in position. You need to use a stem that matches the steerer diameter, 1 1/8in being the most common size. A semi-integrated (or internal, Zero Stack or ZS) headset works in a very similar way to a threadless headset but the cups that hold the bearings are pressed inside the frame with just a lip extending out of the top and the bottom of the head tube. Semi-integrated headsets come in different types and different depths that aren’t interchangeable. The steerer diameter is usually 1 1/8in. Adjustment is via a top cap and bolt at the top of the steerer, as it is with a threadless headset. Check out guide to fitting headset cups here. Integrated headsets use cartridge bearings that fit inside a head tube that’s shaped specifically to hold them. The frame acts as a cup for bearings that you can just slot in and lift out without the need for any special tools. The cartridge bearings come in various non-interchangeable types so when replacing them you need to make sure you get the right type. This bearing (above), for example, is 1 1/4in diameter with a 45° contact with the headset race/centring cone and a 45° bearing contact with the frame. You don't really need to know what those terms mean, you just need to get a replacement with the same figures. Bearing adjustment is similar to that of a threadless headset with pre-load applied via a bolt that slots through the top cap. If you like, you can swap a standard top cap for something more interesting from a brand like Kapz. Canyon has used a headest system called i-Lock that it developed with Acros. Rather than preloading the bearings by tightening a top cap down on to a star fangled nut or expansion plug inside the head tube, with the i-Lock you tighten the stem on to the steerer tube then remove any play with a small Torx bolt. Tightening this bolt pushes two rings that sit on top ot the head tube apart to fix the headset in place. This means that there's no danger of damaging the steerer tube. Plus, you can swap your stem without needing to adjust the preload on your headset. The list of headset types above is by no means exhaustive but it gives you an idea of the main types out there and how they work. The important thing is that when you replace your headset you double-check that the new one is compatible with your bike. Many manufacturers have moved away from straight gauge fork steerers to add extra front end stiffness to their bikes. Some bikes take 1 1/8in bearings at both the top and the bottom of the head tube but yours might be 1 1/8in and 1 1/4in, 1/8in and 1 3/8in, 1 1/4in and 1 1/2in… The size will be printed on the side of the bearing. Make sure you swap like for like. Headset bearings are generally ball bearings as opposed to needle bearings. The balls can be either loose, caged or, as is usually the case these days, sealed in a cartridge. Most headset bearings are steel although you can get ceramic bearings that last longer, according to their manufacturers, and are more resistant to corrosion. We’ve never had the trouble with steel bearings that would justify the extra cost of ceramic. The biggest problem you’re likely to encounter with your headset is water and gunk getting inside. This can cause rust and wear. The exact maintenance procedure will depend on the type of headset you use but essentially you need to clean, dry and regrease the bearings, or replace them if they’re worn out. If you have sealed cartridge headset bearings, you can carefully prise the O-ring off the top of the bearing with a very small screwdriver blade to gain access, and replace it equally carefully afterwards. Replacing the cartridge bearings of an integrated headset doesn't require any special tools. You just remove the top cap, stem and any spacers, drop the fork out and swap the bearings over. How tight should I tighten the preload bolt? If you have a threadless, semi-integrated or integrated headset — and it’s very likely that you do — you need to pre-load the headset bearings before tightening the stem to the fork steerer. 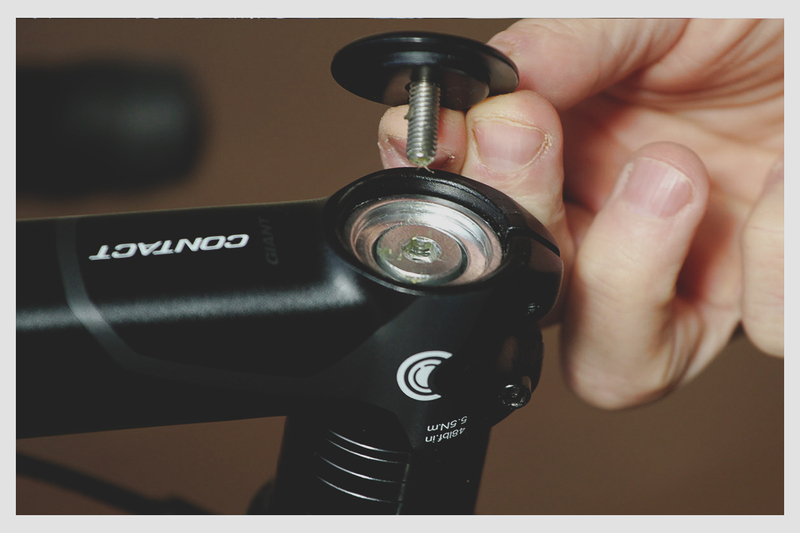 This means you have to tighten the bolt that goes through the top cap to pull the stem, spacers, and headset together. But it doesn’t have to be particularly tight — certainly nothing like as tight as the bolts that hold your handlebar to the stem, for example, or the bolts that hold your seatpost in place. All you need is enough tension on the bolt that there is no play (forward/backward or side-to-side movement) in the bearings while allowing the fork to turn freely and smoothly without excessive friction. That’s enough! In fact the first threadless headsets used plastic top caps, which were plenty strong enough to take the small load needed, but people broke them by over-tightening, which is why top caps are now usually aluminium. Once the pre-load is set you can tighten the stem to the steerer. Thanks for an informative article, but I'll still be using my LBS to change my headset and or bearings as it barely costs more than the price of the parts. Yes, good explanation. I have a frame with 1 1/8", 45.0/41.2mm (OD/ID) integrated head set. Are there options to convert to tapered in future? I have read that there is a Cane Creek set that can do this for a 44mm ID (see http://www.bikeradar.com/news/article/new-headset-allows-use-of-tapered-...), but not found anything for a headtube with 41.2mm ID. These tech articles are great. I used to have a bike with an Easton EC90 SL fork. The steerer was internally threaded and the fork bung screwed in. Great design, no idea why it wasn't widely copied and we still have expanding bungs. If anyone is having any problems with play in Canyon headsets (not the I-lock ones), I made this mistake. The bolt in the expander bung in the carbon steerer says 4Nm for a reason! I was overtightening it, thinking the loose bung was the cause of the play. Turns out, overtightening it caused it to slip, so when I preloaded the cap, the bung was just spinning. One of the things I hadn't realised (until I built up a frame for the first time) is that the cap serves no purpose once the bearings have been preloaded and the stem bolts tightened. Means you can mess around with spacers and caps without affecting the steering afterwards. No way?! Is that true? I did not know that. Every day's a school day! Your explanation of the i-lock makes no sense to me. If you first need to tighten the stem before you set the preload, it sounds like the preload pushes against the stem, which means you lose your preload if you loosen the stem. Otherwise there must be something else that clamps to the steerer tube if you can remove the stem without loosing the preload and then when you tighten the stem does not matter. I noticed that, if you remove the stem, the fork will fall straight out The play is removed when the headset tightens against the stem. 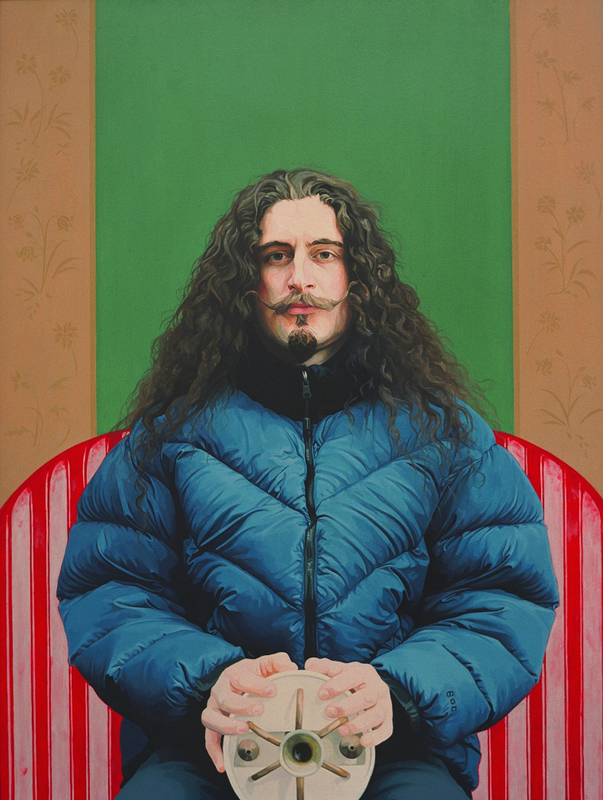 Can anyone recommend a good make that will endure the inclement British Weather? Most headsets these days use cartridge bearings. 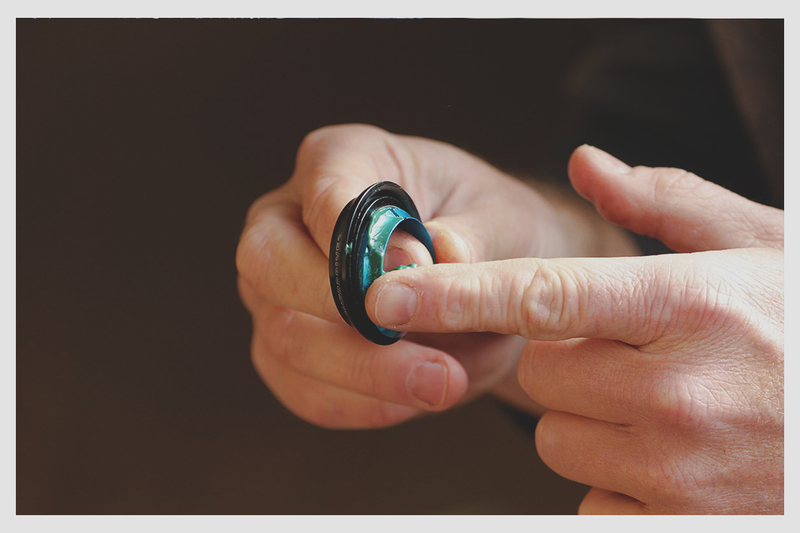 Maintenance is simple: swap out the old bearings for new ones. Chris King, go on she deserves it.